improve their game with chipping and putting on a surface that mimics as closely as possible a real grass golf green. When thanking John for the business he responded “No, thank you for doing an exceptional job… I always use the best. When I decided to do this I knew who to call”. John is a contractor specializing on homes 4,000 ft2 and larger and was considered one of the premiere builders in Alto, NM. 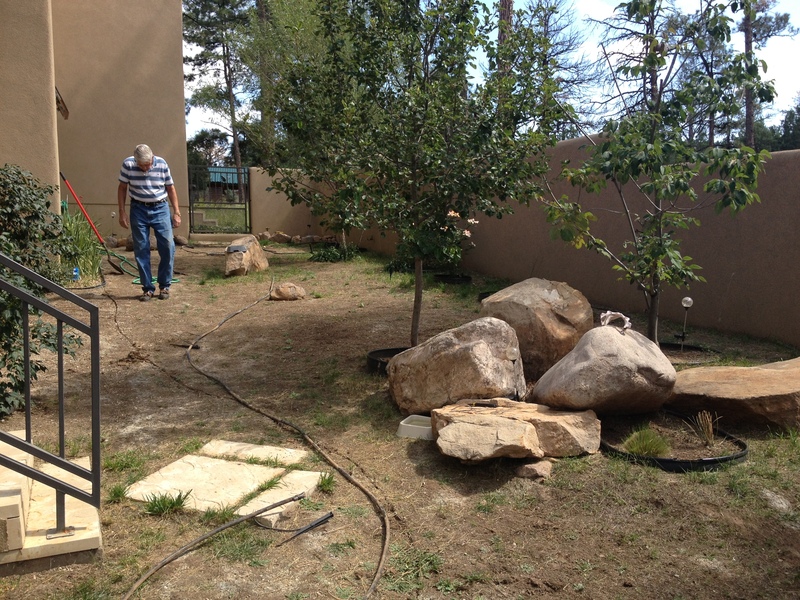 We were able to create a free flowing back yard by changing of the slope to drain away from the house. The resulting natural curves blended change in elevation. 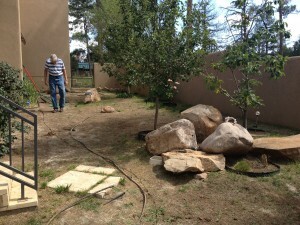 Edging was added to shape the planter areas which were finished off with Pro 5 weed fabric and rubber mulch. 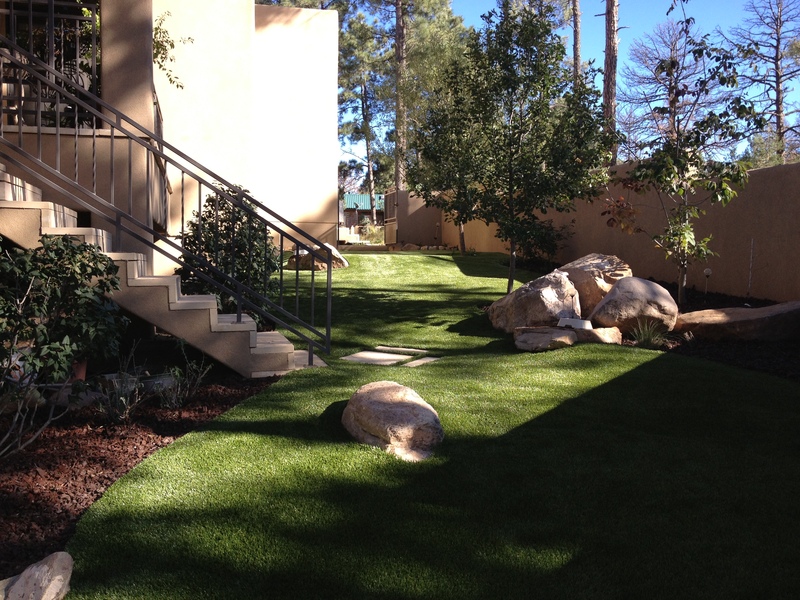 The green was designed with a first cut (Southwest Greens First Cut Blend) of fringe that blended into the lawn turf our GB003 “Southwest Greens Superlawn 72 Blend.” Our infilled green with performance cushioning was installed with three hole locations. The VanT’s Yard is now a showpiece in a showpiece home that their friends, family, and dog can enjoy for years to come without the high maintenance time required from real grass.